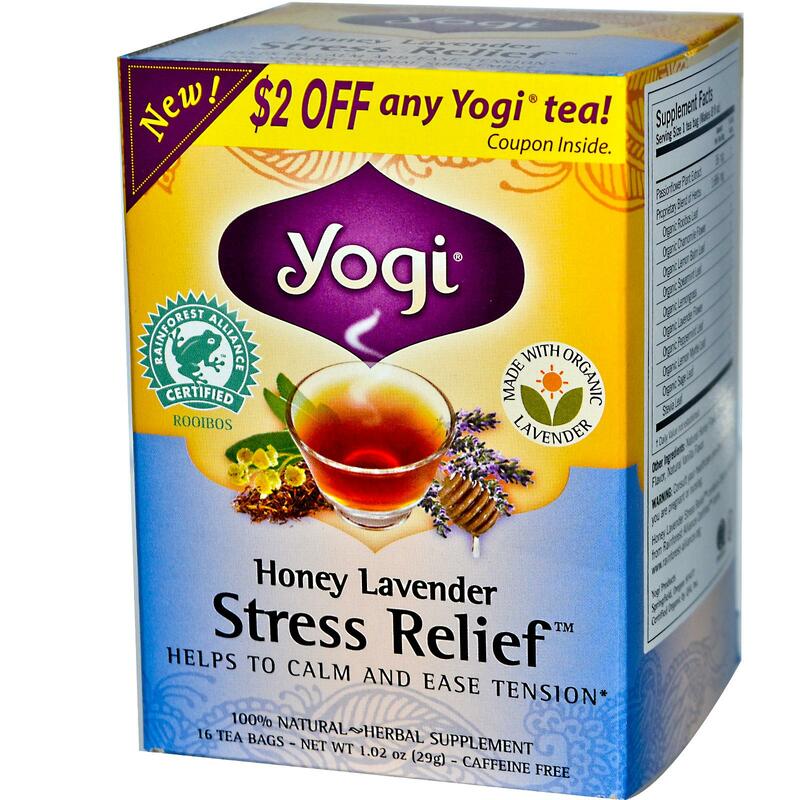 Today’s blog is all about my new favorite thing to sip after my evening yoga practice — Honey Lavender tea by Yogi Tea. Tranquility is the best word to describe this magical elixir of relaxation. Each tea bag has a special message attached to it that I use as an evening reflection. It helps me set the tone for a peaceful night’s sleep. What do you like to drink after your yoga practice or class? What have you been doing all week? I’ve been prepping for the Blogalicious Weekend Conference that kicks off on October 3 in Atlanta. That means I have been writing blog posts, sending and replying to emails, making phone calls, and scheduling blog posts and social media for next week. It’s been a busy week and now that it is coming to a close I am feeling rather accomplished! 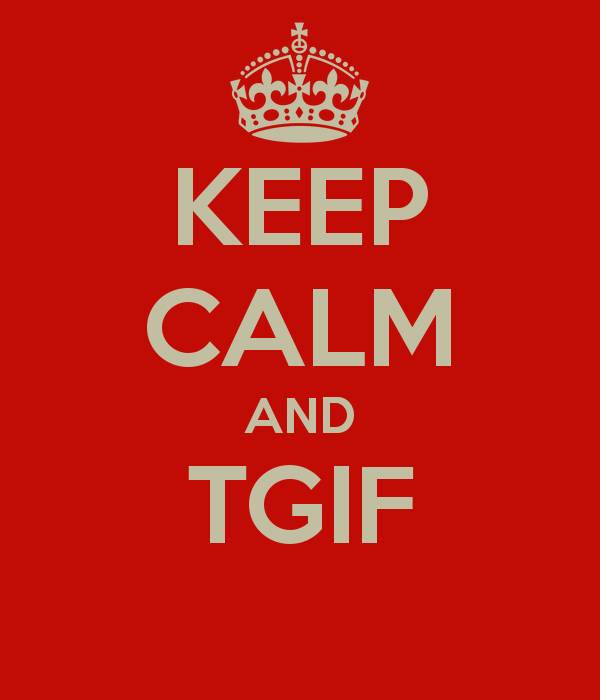 I can actually breathe in TGIF! and exhale a gigantic smile (especially since I am going to my Kundalini yoga class and participating in the Digital Sisterhood #Unplugged Weekend on Saturday and Sunday)! 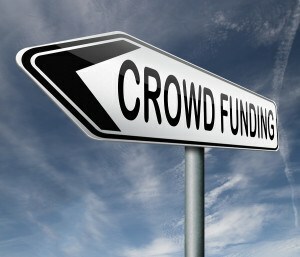 So without further adieu, here is my final blog post on Blogalicious crowdfunding resources. Today’s post features some of my favorite crowdfunding campaigns created by members of the Blogalicious community. Enjoy! 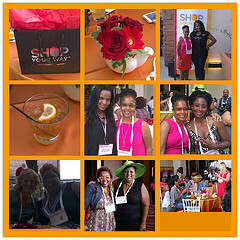 Are you coming to Blogalicious? If so, make sure you attend the panel discussion on CrowdFunding: The Financial Backing for Your Project Is at Your Fingertips! that will take place on Friday, October 4 from 5:45 p.m. to 6:45 p.m. 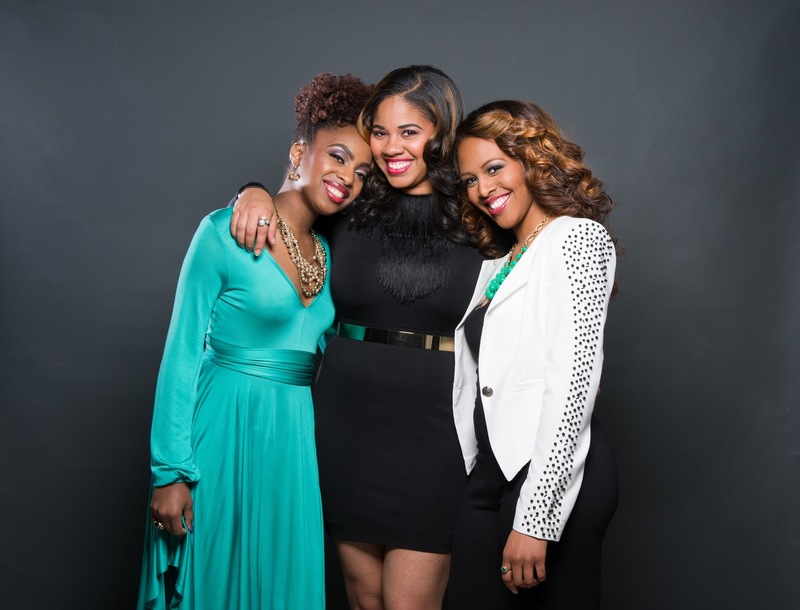 It features the Techturized, Inc. co-founders, Chanel Martin (CSO), Candace Mitchell (CEO), and Jessica Watson (CMO). 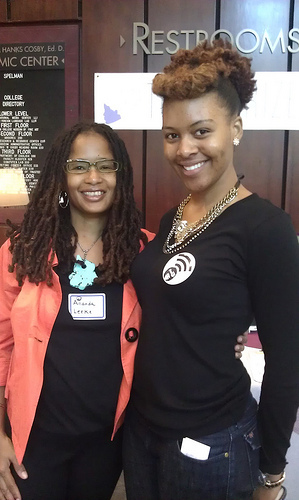 They are responsible for creating MadameYou.com, an online destination for African-American women to share their hair experiences, and give advice to each other regarding how to tackle hair issues. During the panel, you will have a chance to hear the Techturized co-founders share their lessons learned from their Indiegogo crowdfunding campaign. 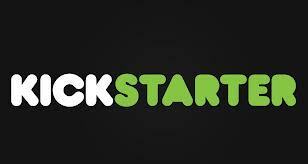 You’ll also have an opportunity to ask them questions about your own crowdfunding plans. And I’ll be there to moderate the panel! It’s almost October. What are you planning to do next month? 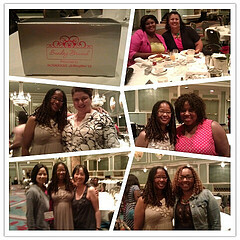 Next month which is really next week — I plan to attend the Blogalicious Weekend Conference. It will be held on October 3-5 at the Hyatt Regency Atlanta. 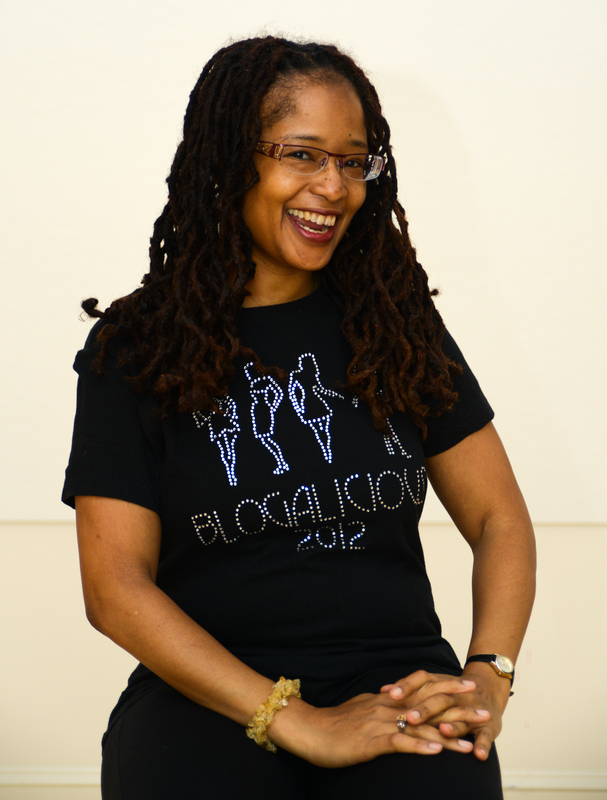 I am really excited because this year marks Blogalicious’ fifth anniversary. I have attended all of the conferences since the first one in 2009! I am also excited because I’m facilitating creativity coaching sessions for Blogalicious attendees throughout the conference and moderating a crowdfunding panel on October 4 that features the Techturized, Inc. co-founders, Chanel Martin (CSO), Candace Mitchell (CEO), and Jessica Watson (CMO). 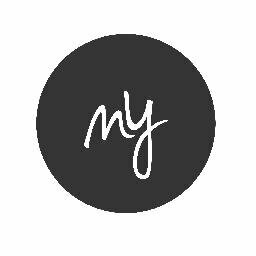 They are responsible for creating MadameYou.com, an online destination for African-American women to share their hair experiences, and give advice to each other regarding how to tackle hair issues. I met these dynamic women last year when I attended the Women Interactive: A Creative Technology Festival at Spelman College. During the Festival, they introduced me to MadameYou.com. I instantly fell in love and became a lifelong fan and supporter. I loved their site so much I invested in their Indiegogo crowdfunding campaign which raised $25,515. If you are headed to the Blogalicious Weekend Conference and want to meet the Techturized co-founders, I hope you will stop by the panel discussion on CrowdFunding: The Financial Backing for Your Project Is at Your Fingertips! that will take place on Friday, October 4 from 5:45 p.m. to 6:45 p.m. During the panel, you will have a chance to hear the Techturized co-founders share their lessons learned from their Indiegogo crowdfunding campaign. You’ll also have an opportunity to ask them questions about your own crowdfunding plans. If you are a crowdfunding newbie, check out my crowdfunding overview and resources, Kickstarter Journey story, and crowdfunding checklist and tips below. This information is based on excerpts from my new book, Digital Sisterhood: A Memoir of Fierce Living Online (October 2013). 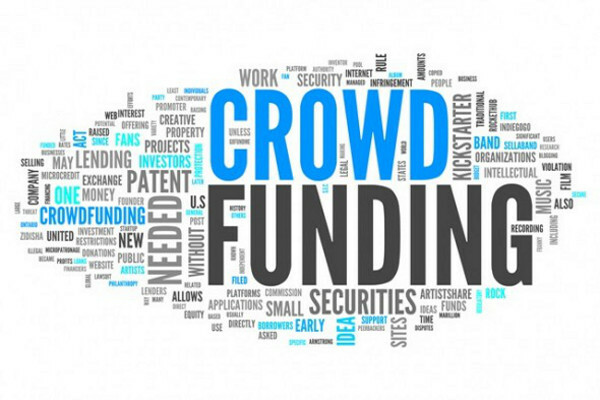 Crowdfunding is a web-based financial model that allows individuals to use social-networking sites to identify and solicit donors who pool their money in community to support creative projects, entrepreneurial endeavors, and social causes. There are four types of crowdfunding: donation-based, equity-based, lending-based, and reward-based. Donation-based crowdfunding allows you to give a financial contribution to a charitable cause. With reward-based crowdfunding, you invest a certain financial amount and receive a reward which is a tangible item or service in return for your investment. Equity-based crowdfunding offers you a stake in the company when you make a financial investment. Lending-based crowdfunding treats your financial contribution as a loan that will be repaid over a period of time. For purposes of this blog post, the information we are sharing relates primarily to donation and rewards-based crowdfunding. Three of the most popular rewards-based crowdfunding platforms are GoFundMe, Indiegogo (co-founded by a female entrepreneur Danae Ringelmann), and Kickstarter. PayPal is another web platform people use to collect donations. There are other crowdfunding platforms and online fundraising web sites that support children and youth, ethnic groups, nonprofit organizations, social causes, and women. See the list below. Piggybackr.com is a crowdfunding platform that helps children and youth (kindergarten through college-aged kids) to raise money for their specific cause (co-founded by female entrepreneur Andrea Lo). Aflamnah.com is the first crowdfunding platform dedicated to helping independent filmmakers, artists, geeks, students, innovators, and thinkers in the Arab world raise funds for their projects (co-founded by female entrepreneur Vida Rizq). BlackStartUp.com is a crowdfunding platform for projects and ideas that will have a positive impact on the African American community. Crowdismo.com is a Latino crowdfunding platform that Latino entrepreneurs, designers, programmers, marketers, educators, students, community leaders, cause champions, journalists, engineers, inventors, artists, and producers can use to fund their projects. ShopZAOZAO.com is a crowdfunding platform that allows Asian designers to post projects and receive production funding (founded by female entrepreneurs Ling Cai and Vicky Wu). Crowdrise.com is an online fundraising web site that allows individual fundraisers, nonprofit fundraising, and event fundraising (co-founded by female film producer Shauna Robertson). Fundly.com is a social fundraising platform that helps individuals and organizations raise money for causes they care about. GiveForward.com is an online fundraising web site that allows friends and family to donate to patients navigating a medical crisis (co-founded by female entrepreneur Desiree Vargas Wrigley). Razoo.com is a crowdfunding platform for causes. Catapalt.org is a crowdfunding site that works for gender justice and equality that only nonprofit and charitable organizations can use (co-founded by female entrepreneur Maz Kessler). CrowdHelps.com is a crowdfunding platform that helps women. People can help change a woman’s life by donating funds, professional advice, free time, or kind words (co-founded by female entrepreneur Silvia Podubni). GirlTank.org is a community and crowdfunding platform that helps women and girl changemakers fund and grow their social enterprises (founded by female entrepreneurs Tara Roberts and Sejal Hathis). Moola-Hoop.com is a crowdfunding platform for women entrepreneurs, owners, and managers (founded by female entrepreneurs Brenda Bazan and Nancy Hayes). NapTimeStartUps.com is a crowdfunding web site for mom and women entrepreneurs that will launch in December 2013 (founded by female entrepreneurs Catherine Snowman and Jenivieve Elly). If you are raising money for your film or online television program and looking for an alternative to Indiegogo and Kickstarter (two of the most popular platforms for filmmakers and webisode creators), check out the following platforms. JuntoBoxFilms.com is a film collaboration and mentoring studio that uses its social platform to empower creators, writers, producers, directors, and actors to develop films with budgets starting at $250,000. Mobcaster.com is a crowdfunding platform focused on finding, funding, and broadcasting independent online television programs. SeedandSpark.com is a selective film crowdfunding platform that approves each project (founded by female entrepreneur and filmmaker Emily Seed). Slated.com is an online film marketplace that connects a network of investors, filmmakers, and industry professionals. 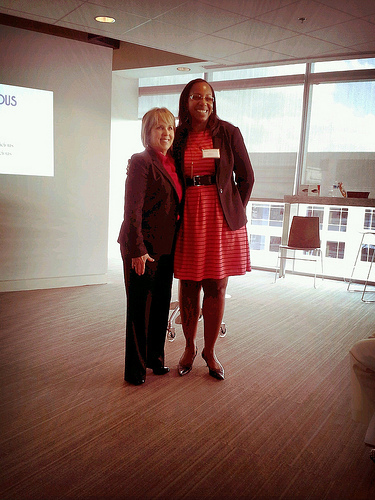 My crowdfunding journey began with a challenge from my Ameriprise Financial financial advisor Judy Weathers during our first quarter meeting in 2010. We were reviewing my self-publishing expenses for two books published in 2007 and 2009, and estimating the expenses for a third book. Judy asked me if I could find investors or alternative funding for the book. At first, I thought she was asking me to do the impossible, but a small voice inside convinced mer to be open and pursue alternative funding. Months passed without me lifting a finger to identify alternative funding. Then, it happened. The light bulb went off during an episode of Digital Sisterhood Radio. I was moderating a panel of creative women in social media when Abiola Abrams, author and founder of AbiolaTV.com, referenced an Essence article that discussed the power of using Kickstarter to fund books and films. After the show, I visited Kickstarter.com and learned about several authors who used it to raise money for their books. Their success inspired me to take the plunge. $1 Pledge: Donors names will be published in the book as supporters. $5 Pledge: Donors will receive everything mentioned above and access to the behind-the-scenes video & audio updates that will document the creation of the book. $10 Pledge: Donors will receive everything mentioned above and access to a live author chat on UStream.tv during the book writing and publishing process. $20 Pledge: Donors will receive everything mentioned above, a personal thank-you note with book logo and signed by author, and an invitation to participate in the online book release party via UStream.tv. $50 Pledge: Donors will receive everything mentioned above, an invitation to vote on the book cover design, and a Digital Sisterhood mug. $100 Pledge: Donors will receive everything mentioned above and an autographed copy of the book. $200 Pledge: Donors will receive everything mentioned above and a private one-hour author chat via Skype or telephone with the author. With the support of my generous donors (backers is the Kickstarter term), my first campaign raised $1,159 in 2010. My second campaign raised $701 in 2011. I also received donations via PayPal and from friends who gave cash and check donations. My funding goals were very conservative. I wanted to make sure I received every dollar I raised because Kickstarter only offers fixed funding, an all-or-nothing approach. That means if you don’t reach your funding goal, you don’t receive any of the money you raised. The biggest challenges I faced with my campaigns were writing a book while I was conducting two fundraisers and underestimating the time it would actually take to publish the book. My underestimation caused a three-year delay in my delivery of rewards to my donors (I am in the process of delivering rewards over the next two months). To maintain communication with my donors, I posted regular updates about my writing process in 2011 and part of 2012. I slacked off in 2013. Fortunately, my donors have not complained. They are a great group of people who have a lot of compassion and patience. They taught me that crowdfunding is rooted in generosity. For that, I am truly grateful. Now that you know more about crowdfunding and my Kickstarter journey, I thought you might like a checklist and tips to help guide you through the process of developing your own crowdfunding campaign. 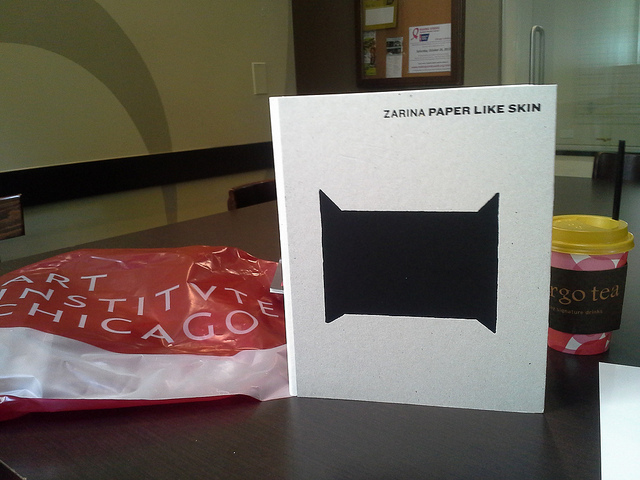 Today’s blog celebrates Indian artist Zarina Hashmi’s Paper Like Skin exhibition that I saw while visiting the Art Institute of Chicago in July. 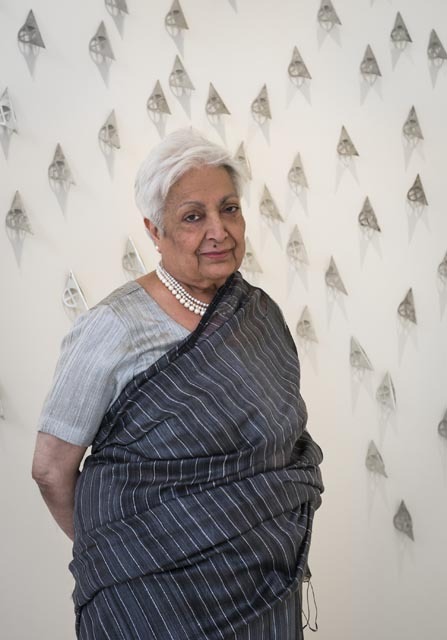 In the art world, Hashmi is known as Zarina. She is originally from India, one of my favorite places in the world. 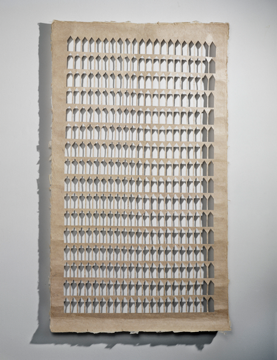 Her Paper Like Skin exhibition explores her artwork and career since 1961. It is an impressive collection of 60 works. My favorite piece is Shadow House. See photo below. I am drawn to her work because of her minimalist style, feminist spirit, and the magical way she uses paper. As a printmaker and sculptor, she transforms paper pulp into abstract woodcuts, etchings, drawings, rubbings, and casts. Her work also tells stories of dispossession, exile, and making new homes in different places such as Thailand, Germany, France, and Japan before settling in the United States. When she moved to New York City in the 1970s, she became a prominent figure in feminist art circles. 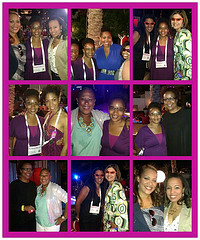 Today’s blog is all about the Blogalicious Weekend Conference and creativity. Read on! 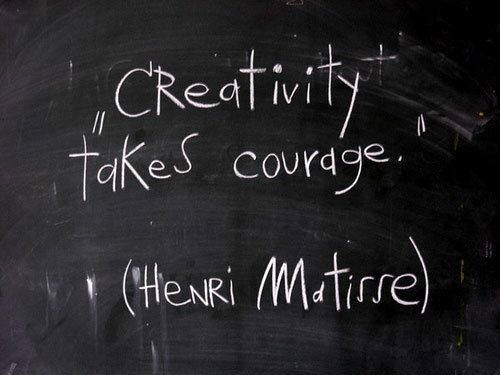 Creativity is one of my life’s passions. 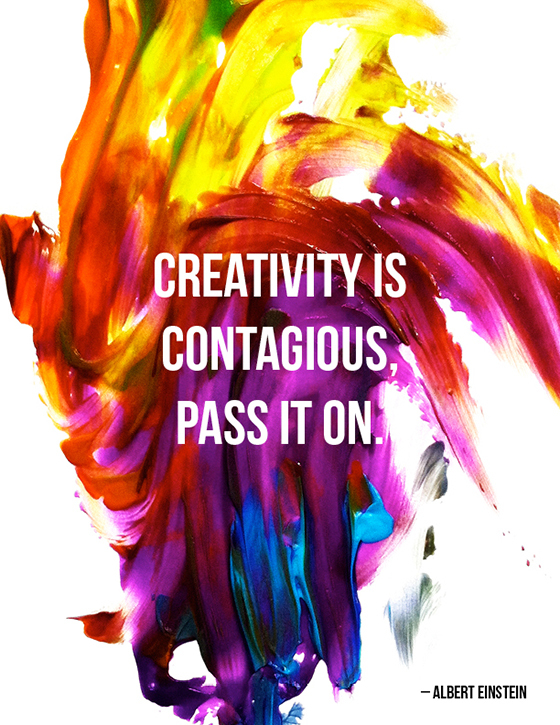 I believe we are born with a spark of creativity that can awaken us to an amazing life. Throughout life’s journey our creative spark needs nourishment, guidance, and support. One way we can nurture our creative spark and gain support and guidance for our dreams, ideas, and endeavors is with the support of a creativity coach. Since 2009, I have served as a creativity coach and helped clients to identify, understand, and embrace their inner critic (the inner voice that tells you cannot or don’t have what it takes to create, build, or fund your dreams, ideas, and endeavors). With my support, they have been able to confront and overcome their fears, doubts, and obstacles that prevent them from creating, building, and funding their dreams, ideas, and endeavors. They have mapped out their goals and timelines, and developed a strategic plan to accomplish them with my guidance. Watching my clients succeed brings me great joy! That’s why I am offering one-on-one creativity coaching to Blogalicious Weekend Conference attendees on October 3-5 at the Hyatt Regency Atlanta. For Blogalicious Weekend Conference Attendees: If you have a burning desire to launch a new idea or endeavor or you feel uncertain, doubtful, or fearful about giving birth to a dream you have been holding onto for the past month, year or decade, sign up for a 15 minute creativity coaching session with me. Click here to register for a session (LIMITED NUMBER SO ACT SOON!). Once you have registered for a session, please complete the short SurveyMonkey questionnaire (9 questions). Your responses will help prepare me for our 15 minute session. All sessions will be held in the “Vinnings” conference room at the Hyatt Regency Atlanta. If you have additional questions, please email me at kiamshaleeke@yahoo.com. Today, I am honoring the fifth anniversary of Blogalicious, an online community and conference that celebrates diversity in the blogosphere, with a poem that serves as my “love letter.” See below. The poem is featured in my new book, Digital Sisterhood: A Memoir of Fierce Living Online (October 2013). Magic happens when we come together in the digital space. It’s beautiful and brilliant all at the same time. This electrifying energy travels inside each of us at light speed, expanding exponentially when we come face-to-face. It calls us to express our authentic voices and embrace our unique identities. It gives birth to and celebrates a diverse community. It connects us to one another and offers bonds of friendship that affirm and nourish our dreams. It manifests as partnerships that promote social good and generate revenue streams. It forces us to move beyond our comfort zones even when we feel we are not ready. We lean on each other and ask for support. Our confidence and faith in what is possible grows beyond what we know. Our ears open to listen and our hearts discover wisdom for what is coming next. The guidance we receive helps us to find the resources we need. Before you know it, we are busy creating, building, and funding our dreams. If you are a part of the Blogalicious community, please share what it means to you in the comment section below. Since it’s National Yoga Month, I decided to up my yoga game by adding a weekly Kundalini class to my practice. 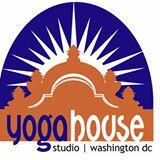 I am taking classes offered by Yoga House founder Elizabeth Greathouse a/k/a Gurumukh East on Saturday mornings. Kundalini Yoga is known as the yoga of awareness because it uses body locks, breathing exercises, eye-focus, mantras, mudras, and yoga postures to help you gain control over your body’s mental, physical, and nervous energies. It also helps you to balance your glandular system, strengthen your nervous system, expand your lung capacity, and purifiy your blood. The word “Kundalini” refers to energy located at the base of your spine that can be drawn up through the body to awaken your seven chakras (energy centers). 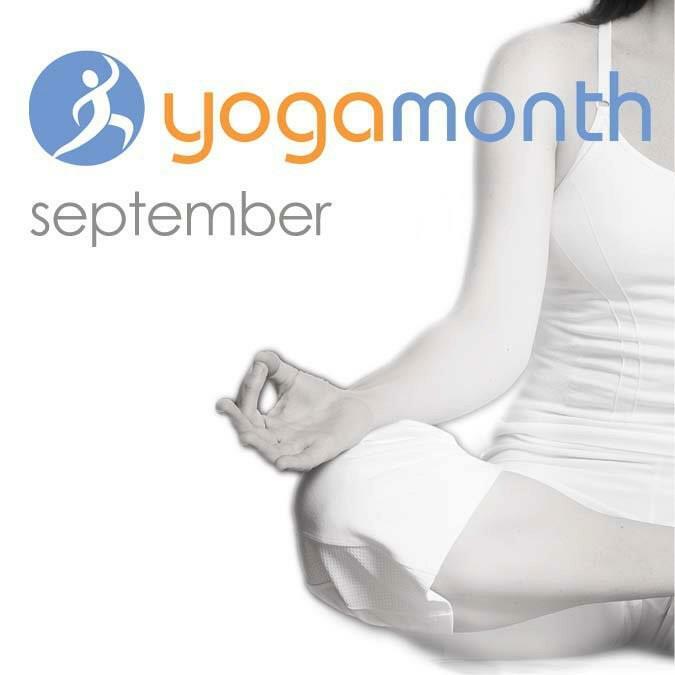 Are you trying any new types of yoga or yoga poses during National Yoga Month? You’re invited to attend an author talk and book signing for my third book, Digital Sisterhood: A Memoir of Fierce Living Online on Saturday, October 19, 2013, from 3:00 p.m. to 5:00 p.m. at the Joan Hisaoka Healing Arts Gallery located at Smith Center for Healing and the Arts, 1632 U Street, N.W., Washington, D.C. (three blocks from the Green Line U Street/Cardozo Metro Station). The book will be available for sale ($23.95) during the book signing. Click here to register on Eventbrite. 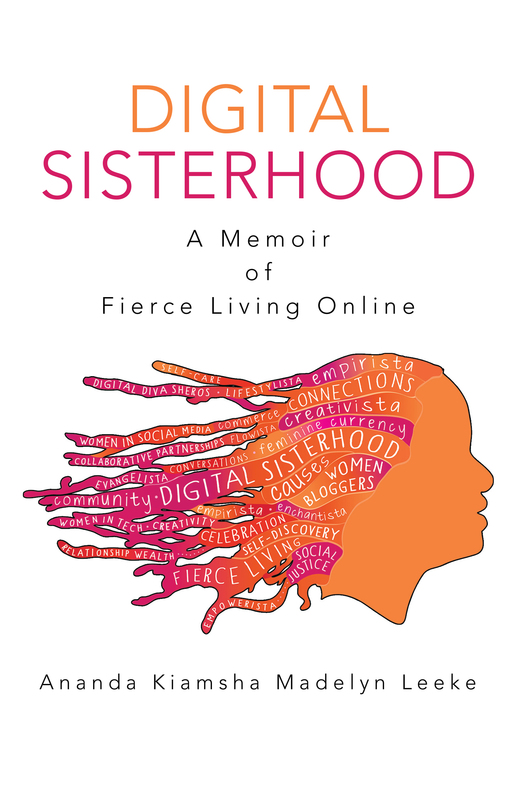 In her memoir, Digital Sisterhood, Leeke details her journey, sharing experiences and insights helped her and her digital sisters use the Internet as a self-discovery tool and identifying leadership archetypes that shaped her role as a social media leader. If you are in the D.C. area, register yourself and invite five friends to the October 19th book reading. Share this notice on your social media networks or blog. Tell ten friends about the book in an email. Post a blog with an author interview of Ananda Leeke. Send her an email at kiamshaleeke@yahoo.com. Follow @anandaleeke and @digitalsisterhd on Twitter for book updates. Participate in #DigitalSisterhood Wednesdays on Twitter by following @digitalsisterhd and tweeting your digital sisters. Subscribe to Ananda Leeke’s author blog to learn more about her creative journey. 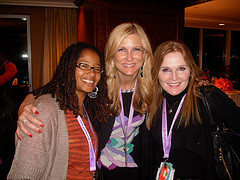 Learn more about the Digital Sisterhood Network. Check out Ananda Leeke’s books, Love’s Troubadours (novel) and That Which Awakens Me (creative memoir) on Amazon.com. They make great autumn reads! LIKE Ananda Leeke’s Facebook Fan Page. LIKE Digital Sisterhood Network’s Facebook Page. 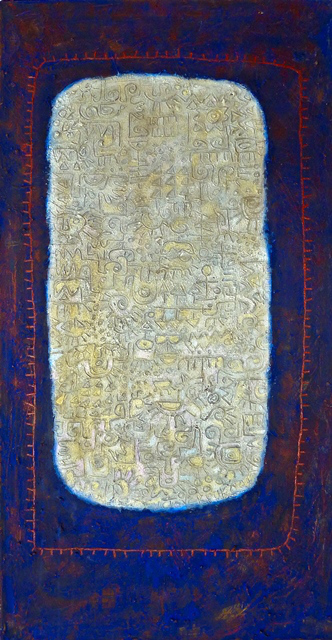 My favorite piece in the exhibition is Idaresit (Joyful Heart). See photo below. 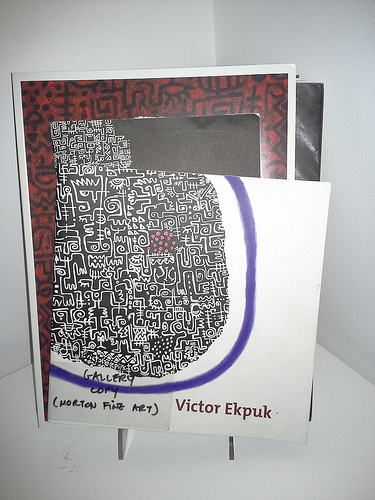 I discovered Ekpuk’s work this summer during one of my visits to Morton Fine Art. 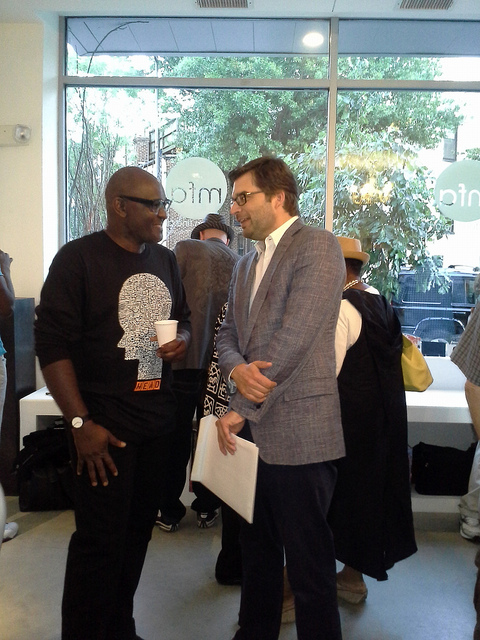 I was immediately drawn to his use of nsibidi “traditional” Nigerian graphic symbols and writing systems in his work. The symbols refer to abstract concepts, actions, or things. When they are used, they facilitate communication among peoples speaking different languages. Nsibidi is indigenous to the Ejagham peoples of southeastern Nigeria and southwestern Cameroon in the Cross River region. Ibibio, Efik and Igbo people also use it. Click here to read more about the meaning of nsibidi. I love how Ekpuk’s work incorporates aspects of his ancestry. It makes me think that the spirit of his ancestors are embedded into his artwork. The placement of the nsibidi symbols in his works creates soulful, lyrical poetry that speaks silently to my spirit. Perhaps that’s why the poet in me feels so connected to his work! 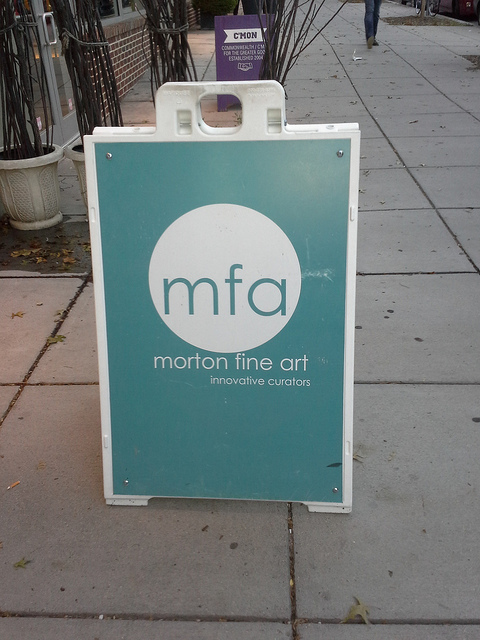 If you are in the D.C. area, I encourage you to visit the exhibition at Morton Fine Art. It ends October 8. 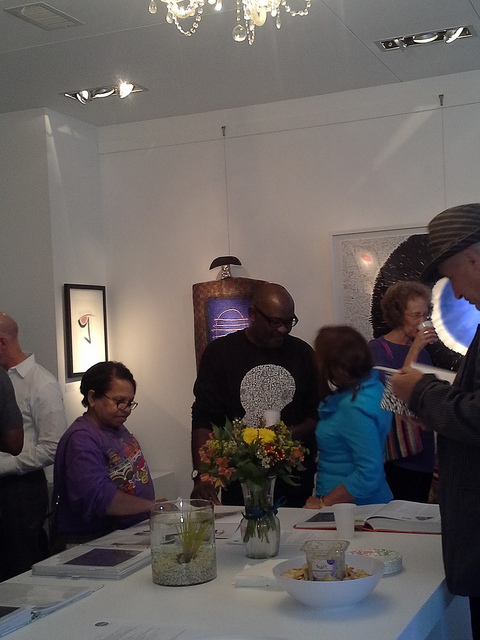 The Artist Talk will be held on Saturday, September 28 from 4:00 p.m. to 6:00 p.m. Hope to see you there! Happy Internet Geek Tuesday! Happy National Hispanic Heritage Month! This week, Latinos in Tech Innovation and Social Media aka LATISM is hosting its fifth annual conference on September 19-21 in New York City. This year’s conference features the first-ever Latino Hackathon, a discussion about race in the Latino community, a town hall meeting on education, and various panels on being bilingual, content creation, funding for tech startups, how to use how to use social media to gain a better understanding of customers and the competition, immigration, monetizing blogs, social good, storytelling, and women in tech. Click here to read the agenda. You can also follow the #LATISM13 hashtag on all social media channels to keep up with conference happenings. 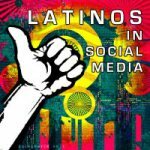 LATISM, the largest organization for Latino and Latina professionals engaged in social media, is a nonprofit and nonpartisan organization dedicated to advancing the social, civic and economic status of the Latino community. Premier Transmedia founder and Plaza Familia CEO Ana Roca Castro established LATISM in 2009. To learn more, LIKE LATISM on Facebook, follow @LATISM on Twitter, and join the weekly #LATISM Twitter party on Thursday evenings at 9:00 p.m. EST. LATISM’s first conference was held at the National Council of La Raza in December 2009. My digital sisters Julie Diaz-Asper and Kety Esquivel encouraged me to attend the conference. It was one of the best experiences I have ever had. I learned so much about Latinos in the digital space and was able to teach a yoga class for social media users in Spanglish! 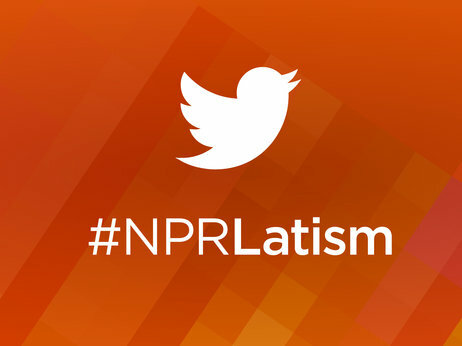 Yesterday, NPR Tell Me More host Michel Martin held a Google+ Hangout session about emerging Latinos and innovations with Castro, Mi blog es tu blog founder Laura Martinez, and Being Latino founder Lance Rios. 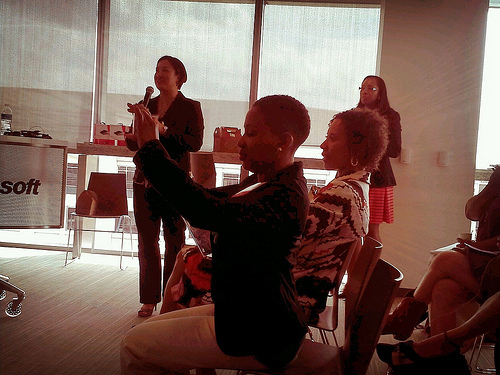 During the session, the panel discussed how engaged the Latino community is in the digital space. Click here to watch a video of the session. 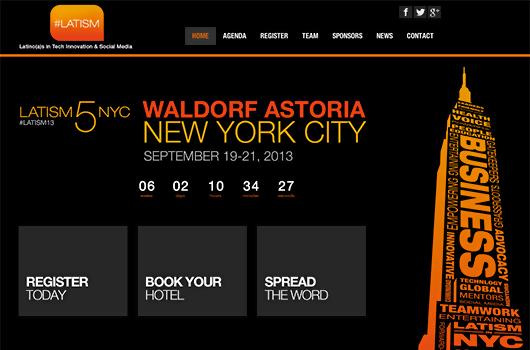 Are you headed to #LATISM13? What sessions are you looking forward to attending? I wish I was going to the conference! I’ll be there in spirit! Have fun for me!